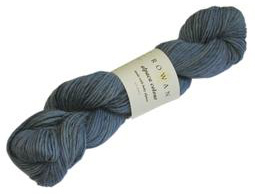 Rowan Alpaca Colour DK yarn is a very soft yet hard wearing 100% baby alpaca DK knitting yarn with a subtle blend of colours thats ideal for textured knitting stitches. 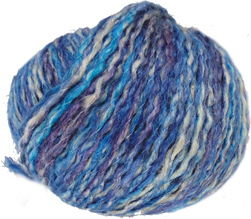 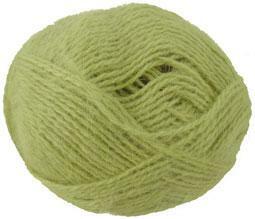 Rowan Angora Haze yarn is a beautiful super soft 4 ply knitting yarn made with 69% angora, 11% wool and 20% polyamide. 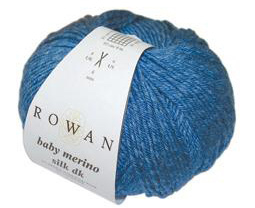 Rowan Baby Merino Silk DK yarn is a luxury knitting yarn developed by Rowan specifically for babies wand has a wonderfully soft machine washable blend of 66% merino wool and 34% silk.